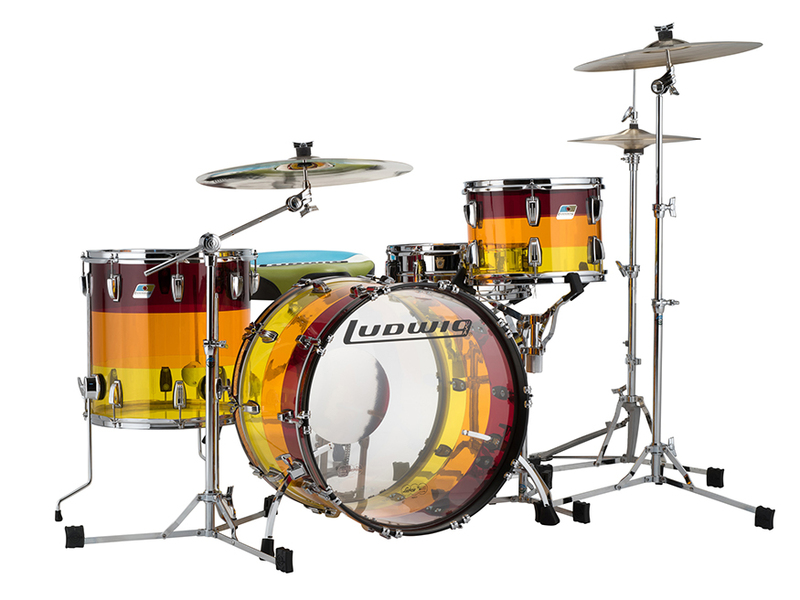 Ludwig Vistalite drums are some of our all time favorites. 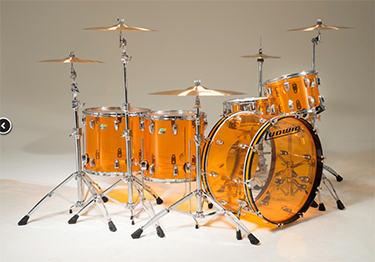 There are many imitators but none compare to the original Ludwig Vistalite Plexiglas drums. Vistalite drums were originally introduced in 1972 and quickly established themselves as having outstanding sound projection and power along with a renowned see through appeal which transcends time. Vistalite drums are available in 6 colors: Amber (47), Blue (55), Yellow (56) Clear (3). Piece together your own custom drum kit from the many differently sized components or put yourself behind one of two standard outfits ( Amber Zep Set, or “Big Beat” 5-piece set). Vistalite drums feature the popular 70’s vintage blue/ olive badges. Component drums come standard with Mini-Classic lugs. Large Classic lugs are also available. Please contact us for a great price on a Vistalite kit or Component!